Trucking companies in New Mexico already face difficulties onboarding employees, managing a large fleet and keeping up with mountains of paperwork. Adding Department of Transportation (DOT) and Federal Motor Carrier Safety Administration (FMCSA) regulations onto an already extensive list can cause any company headaches. Large and small companies can benefit from New Mexico trucking compliance assistance. At US Compliance Services, we have experts who help you keep up with local laws and regulations and free up your time to grow your business and manage your fleet. We file all your required compliance paperwork and registration forms while making sure every driver stays fully documented and compliant. With our help, you will experience maximized productivity and profits as you avoid fines and manage risks. Every trucking company owner or supervisor wants to stay on top of industry trends to beat competitors in a tough market. However, you must do that while keeping up with continually changing compliance standards. It starts with filling out DOT paperwork and registration documents, and you must stay up-to-date with all rules and renew them throughout the years. In some cases, it can feel like a full-time job simply keeping track of every guideline. US Compliance Services offers New Mexico trucking compliance assistance services based on your needs. Our experts understand how critical it is to grow your trucking company, which is why we are here to take care of the rest. Our DOT Driver Qualification File Management system helps you improve safety when it comes to your drivers, and our ELD and ELOG compliance help will afford you greater efficiency. DOT Consulting Services: The Department of Transportation has a detailed application and registration process. You must file for a new DOT number, renew your MCS-150 and display your DOT number on every truck. Instead of handling DOT compliance yourself, our New Mexico trucking compliance services help you find the most efficient solutions for your drivers and your fleet while you adhere to every regulation. FMCSA Services: Many trucking companies also need FMCSA filing assistance. 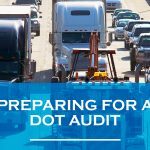 The Federal Motor Carrier Safety Administration also enacts different types of audits and reviews, including safety audits, compliance reviews and roadside inspections. US Compliance Services can help you prepare for those safety audits and file mandated paperwork such as MCS-90 forms if you transport hazardous materials. DOT Driver Qualification Management: Every New Mexico trucking company needs qualified drivers and extensive documentation. You must keep a file that includes documents to show your employee is qualified. The records should consist of the driver’s application, road test, medical examinations and more. 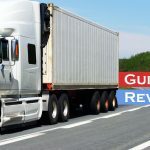 Trucking compliance assistance in New Mexico that includes DOT driver qualification management will create greater transparency within your company. Learn more by downloading our Driver Qualification File. IFTA Assistance: The International Fuel Tax Agreement is an agreement between 48 states where you must submit fuel taxes. If your company meets certain stipulations, you must pay quarterly taxes based on your fueling records. It is often difficult to know whether or not you need to submit fuel taxes, and the intricate forms are challenging to fill out and file. Our trucking compliance consultation services in New Mexico help you understand if you need to file and how. ELD and ELOG Compliance: For companies still using paper logbooks, new technology includes electronic logging devices (ELD), or ELOGs, which can help monitor drivers’ time and efficiency. This technology will soon be mandatory, so it is a great idea to embrace it early. US Compliance Services will help by registering new units, getting the proper permits and cross-checking all of your previous records. More Time: When you spend countless hours making sure your company meets New Mexico trucking compliance laws, it takes away from the time you could spend building your company and fleet. We take the time required to maintain compliance and give it back to you. Our New Mexico trucking compliance assistance services allow you to grow your company while staying fully compliant. Improved Accuracy: Incorrectly filling out DOT registration forms or an IFTA application costs you more time and money. Instead of facing greater fines for non-compliance, we can help you complete and file all paperwork as part of our trucking compliance assistance in New Mexico. Our management services will continue to assist with compliance, such as reminding you about when your registration expires, so you never miss a deadline. Greater Transparency: Your trucking company can always benefit from greater transparency and peace of mind. Working with US Compliance Services lets you sit back and focus on other aspects of your business while we take care of compliance. You will never have to worry about another safety audit again. You don’t need to spend valuable time on New Mexico trucking compliance. US Compliance Services is here to handle all of your needs, from completing your DOT registration to preparing you for your next safety audit. Our experts have extensive knowledge of all trucking industry compliance regulations and local laws. We will help you stay transparent while maximizing your time and budget. Don’t wait to find trucking compliance consultation services in New Mexico. We help businesses small and large stay compliant and afloat while giving them the time to grow. Call us now to learn more about our New Mexico trucking compliance assistance services or contact us online to get a free consultation today.